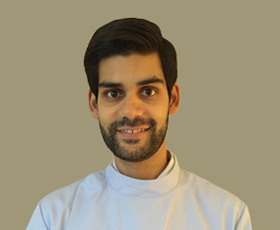 Nikesh graduated with Honours from Barts and The London in 2009. During his time there he became fully immersed within all aspects of undergraduate life, highlights of which include being elected president of the Dental School and being awarded the prestigious Evelyn Sprawson Prize for best all round student. Early on in his career, he gained further skills and valuable experience working as a Senior House Officer in several South London Hospitals. During his time in hospital, Nikesh, worked in Paediatrics, Orthodontics and Oral surgery. These specialty roles have helped, Nikesh, develop a gentle approach to oral surgery and particularly enjoys working with anxious patients, as well as creating a playful environment for children to take their 'first steps' towards maintaining good oral health. Alongside his hospital work, Nikesh completed the Diploma of Membership of the Joint Dental Faculties from the Royal College of Surgeons of England. After his time in hospital, Nikesh returned to general dental practice and has worked at several different practices in South London, before joining the team at Croydon Dental Care. Nikesh likes to continually develop his skills and knowledge and regularly attends courses and seminars to keep up-to-date with the latest advances in dentistry. In his free-time he loves spending time with his family and friends. His other interests include cricket, jogging and DIY.